This chapter provides a systematic analysis of thirteen in-depth interviews of disabled students from both universities in Northern Ireland. Undertaken as part of the Uni4U initiative hosted within the University of Ulster, the findings presented describe barriers experienced by students with disabilities to participation in higher education across both universities. The students provided comments concerning their current support provisions, barriers they have experienced, and suggestions for improvements to the service. Examination of the findings leads to three recommendations: firstly, that a network of communication should exist that encourages dialogue between all parties with an interest in the well-being of the student, with the student at the heart of these discussions and involved in all decisions; secondly, that attention must be paid to staff development especially with regard to Mental Health Issues; and finally, that in the long term the aim of institutions should be to move away from individual “reasonable adjustments” to inclusive education for all. …schools with this inclusive orientation are the most effective means of combating discriminatory attitudes, creating welcoming communities, building an inclusive society and achieving education for all; moreover, they provide an effective education to the majority of children and improve the efficiency and ultimately the cost-effectiveness of the entire education system. (UNESCO 1994, ix). In the context of Higher Education in Northern Ireland there has been a significant increase in participation of disabled students over the past seven years. In the academic year 2002/03, of the 24,806 full-time primary degree students who were enrolled in further and higher education institutions, only 425 (1.7%) were self-reported disabled. This compares with the 2009/10 academic year where, of the 28,770 Higher Education students, 995 (3.5%) of those were in receipt of Disabled Student’s Allowance (Higher Education Statistics Agency). It should be noted that although Disabled Student’s Allowance is only one indicator of participation by students with disabilities in Higher Education, and students are not forced to inform the institution if they are receiving it, it provides a basis for judging the representation of disabled students in universities. These figures suggest that participation in universities in Northern Ireland has improved, with the overall number of full-time students increasing by 16% and the number of self-reported disabled students increasing by 134%. The increased participation of disabled students is a significant improvement. However, these figures are not the full story and while encouraging, there is still a shortfall that needs to be addressed. 25% of adults in Northern Ireland report having a long-standing illness, which limits their activities (Northern Ireland Statistics and Research Agency). Of these people, 12% are aged 16 - 44 years-old (Equality Research and Information 2010). Furthermore, of the 786 16-year olds in Northern Ireland that took part in the Young Life and Times 2010 survey (Access Research Knowledge), 8% classed themselves as either suffering from a long-standing illness or a disability, which could indicate that more young people with disabilities could be enabled to participate in Higher Education. Finally, it should be added that in the 2009/2010 academic year Northern Ireland had the lowest percentage disabled student participation in Universities (3.5%) when compared to the UK average (4.9%), England (4.9%), Wales (5.7%), and Scotland (4.1%) (Higher Education Statistics Agency), and Ireland (4%) (Association for Higher Education Access and Disability). This chapter focuses on reviewing thirteen in-depth case studies with the intention of providing a clear depiction of the students’ current model of provision in universities in Northern Ireland. It is very important for the voice of the students not only to be heard but also to be taken in the correct context. Therefore, where possible, the research story is punctuated with direct quotations from the interviewees. The interviews are described in the obstacles to participation section, when applicable, with reference to five predetermined obstacles to participation identified by Tinklin and Hall (1999) and explained in the theoretical background section. These five obstacles formed the basis of an initial framework for systematic analysis, which in turn led to the discovery of additional barriers to participation. Where appropriate provisions have not been put in place, recommendations for improving the current services are described in the Future Research Directions and Conclusion sections. Inclusive Learning Environments: It is a school or classroom where students of every ability level receive teaching in the same place, particularly able students learn alongside those who have special educational needs. 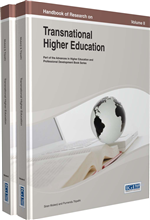 University Education: Higher education and research leading to granting of academic degrees. Third Level Education: Higher education or tertiary education. Higher Education: Is that stage/phase of learning that is accomplished in colleges, universities, academies, etc. Mental Health: It tells about the level of psychological well-being, or an absence of a mental disorder. Widening Participation: Increased participation for including the students with special needs. Inclusive Education: Ways of educating people with special needs. Disability: Certain impairment, activity limitationlimitation, or restriction in participation. Special Needs: It is a clinical diagnostic and functional development term used to describe individuals who need help and support for any kind of disabilities i.e. medical, mental, or psychological. Reasonable Adjustment: It aims to make sure that a disabled person has the same access to everything that is involved in doing and keeping a job as a non-disabled person to whatever reasonable level possible. Student Centred: Learning environment keeping students needs in mind.